Wow!!! It has been a while. That means things have been busy. I hope you have been out on the water lately because the fishing has been great. 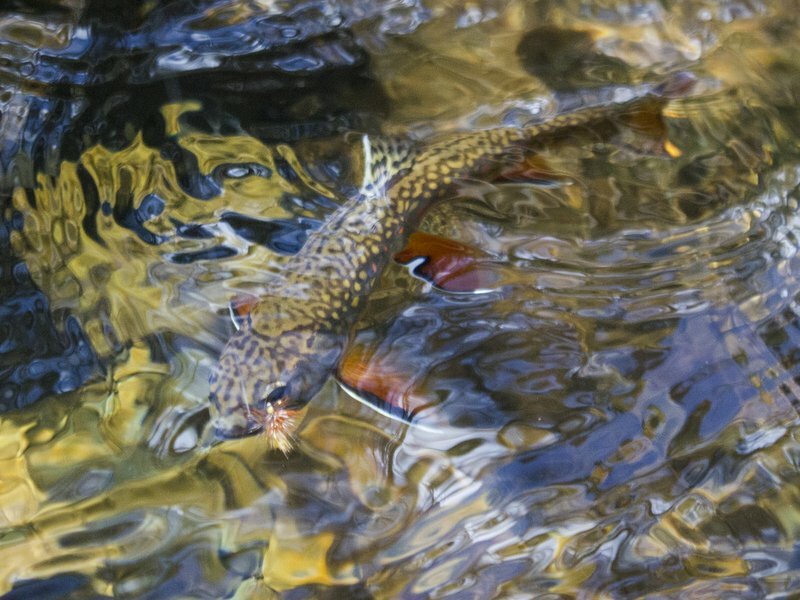 This spring has seen us fishing in the Smokies, on the Clinch River, and most recently, the Caney Fork River. Everywhere we have gone has produced even including some smallmouth bass waters here in the upper Cumberland area. If you are headed to the mountains this holiday weekend, expect massive crowds. This is always one weekend that I like to sit out for both work (guiding) and pleasure. You will find me sticking close to home. That said, if I was going to fish in the Smokies, I would start my day off with a stop by Little River Outfitters to pick up some yellow bugs. Yellow Neversink Caddis work well this time of year as do Yellow Stimulators and some of the fancier, more exact imitations of the yellow sallies that are hatching very well now. Don’t forget a few terrestrials. Ants and inch worms are working great now. That should continue through the summer. Isonychias will be hatching along with Golden Stoneflies, and nymph imitations of each should produce. My Smokies tip of the week? Walk. In general, the farther you go the better the fishing will be. Now, on a busy holiday weekend, expect a fair number of backcountry users as well. Don’t be disappointed if you walk an hour only to find other anglers. Thankfully, there is a lot of water in the Park, so get out there and explore! The Caney Fork has finally dropped into excellent shape. The fish are there for the taking if you can find them. The river is getting awfully low during periods of no generation and that is making things tough. Keep moving until you find fish and then work that area carefully. Midges and nymphs are both working for us although our super secret midge patterns are generally producing the most fish. Don’t know this pattern? A Zebra Midge should catch plenty of trout. Alternatively, you can book a guided trip on one of our tailwaters with me and we will catch trout on my favorite midge patterns. My Caney Fork tip of the week? Avoid this river like the plague over the holiday weekend. Recreational boat traffic will be out of control making fishing frustrating at best. Leave this river alone on weekends until after Labor Day. Weekdays are another story. Crowds will be present but generally manageable. Get out and fish! 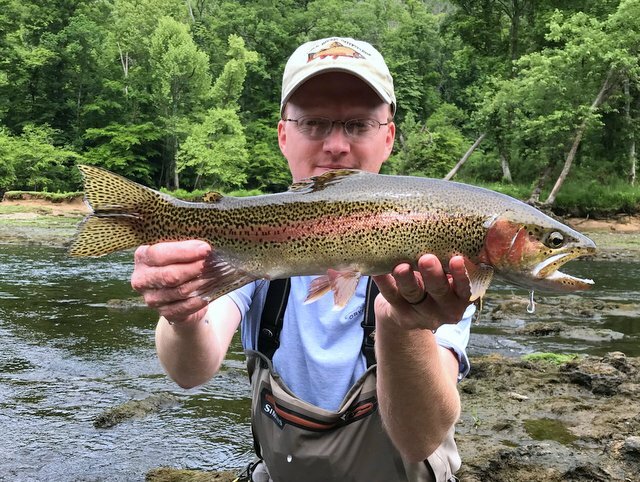 The Clinch River has been fishing very well lately. Flows are up and down because of the wet spring we have been having, but if this dry weather continues, then we should start seeing more wadeable flows. Midges are catching a lot of fish but sulfurs have been on the water lately as well so don’t forget your dry flies for this hatch along with some small pheasant tail nymphs. 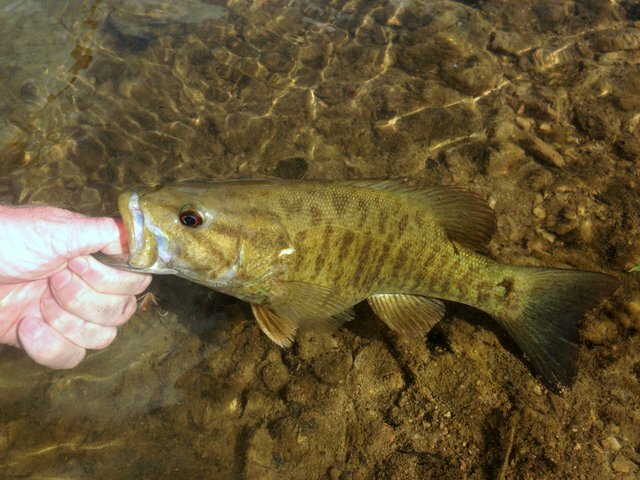 Smallmouth bass are wrapping up their spawning season and looking for food. This hot weather has them looking up to the surface. Our favorite warm water fishing is summer top water fishing for smallies. That said, if the fish aren’t looking up, then we aren’t above throwing streamers as well. Streams here on the Cumberland Plateau and Highland Rim are dropping into fine shape now. Afternoon showers and storms can quickly muddy rivers and raise water levels, but overall these streams should fish well the rest of the summer now. Don’t know where to start? Look at a map of the Cumberland Plateau. See all those blue lines? Almost every one holds smallmouth bass. Pick one and start exploring. You may contact me via email at TroutZoneAnglers@gmail.com or call/text at (931) 261-1884. Get Free Shipping From Our Friends at Little River Outfitters.